A good start for developing ideas is to consider how nature would have dealt with the problem. Indeed, nature is the source of inspiration for many of the objects and technologies around us. For example, Velcro fasteners were conceived when someone wondered why burdock seeds clung to his dog. However, such inspiring ideas remain no more than that, ideas, until we turn them into reality. 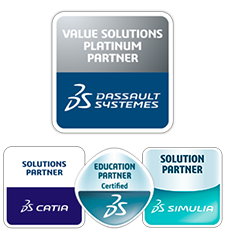 And this requires testing, simulating, and testing again – to innovate by simulation, while copying nature. The search for nature-inspired, innovative solutions is known as biomimetics. It allows us to solve not just run-of-the-mill problems, but also some major structural challenges. For example, with ever faster trains, rail infrastructure faces constantly increasing structural demands. 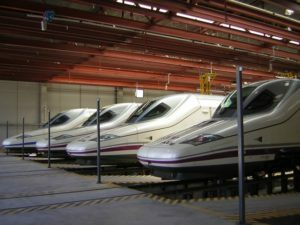 Entering and exiting tunnels at high speeds produces high pressures ahead of the train and low pressures behind it, which propagate at the speed of sound and are reflected at the ends of the tunnel. This causes pressure transients in the tunnel air that are also felt inside the cars, affecting the passengers. How to solve this problem? A Japanese engineer and amateur ornithologist found an answer. He observed that kingfishers dive into water at high speed practically without a splash. He studied the situation and concluded that it was the shape of the beak that reduced the shock; this led to adopting the common engine shape that we are now familiar with. 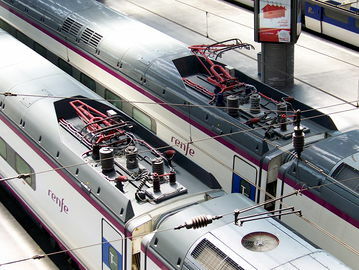 Talking about trains, the articulated mechanism for electricity transmission, the pantograph, also caused aerodynamic headaches because of the noisy turbulent vortices that it generated in the air. The solution? The key was the silent fight of an owl: its jagged feathers split the airflow and reduce flight noise. And if the base of the pantograph is also modified to copy the outline of a penguin, the reduction is even better. We often hear that nature is wise. What is indisputable is that it has billions of years of development and hence there is a good chance that what has survived to date, with the additional benefit of evolution in the case of living organisms, will constitute a good solution to the problems posed by the world around us. That is why it’s wise to look to nature for our inspiration.